We offer a variety of training courses to suit your needs. The most popular one is a day of Navigation Training with Adam. The course looks at the skills you can use to navigate yourselves. There are scheduled courses listed below, if these don’t suit, then email Adam to fix a suitable date. 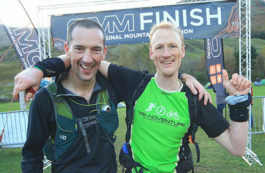 In October 2017 – Adam and Dave Navigated to an 8th Place in the OMM Elite Category. 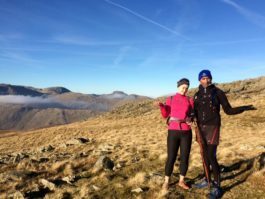 In the future, we will be offering a full day course that looks at Adventure Racing, to Micro Navigation, to learning how to run more efficiently. If you would like some more details, or to arrange group training, please contact us for more details. Course Title: Introduction to Navigation on foot for Adventure Racing + Entry in the 2 hour Trail Event. Alternatively please email to arrange a preferred date and I can see if I can accommodate. Course Cost: £100.00 per person for an 8 hour day (includes entry into Trail event). A one day introduction to Adventure Racing Navigation, facilitated by experienced Adventure Racing staff, covering both the theory and practical aspects of Adventure Racing Navigation. The course is timed to allow you to make a weekend of it to put your new found skills into practice in a Tri-Adventure event the following day. Your course facilitators will be on hand to offer support before the race and you’ll get to compete against a range of competitors in the main event the following day, giving you valuable race experience in a friendly environment. Upgrade your complimentary Trail Entry – to the Sprint £10 or Experience £20. *I usually plan to deliver the navigation on the day before an event. So, make a weekend of it by taking part in the 2 hour Trail Tri-Adventure Event the following day* to put your new found skills into practice. Please check that the event is scheduled for the following day. Bring a packed lunch to have out in the field. If you’re interested in a place on one of the courses contact us now. If you want to buy this as a gift, please contact us for a gift voucher. We look forward to sharing our Tri-Adventure with you. then trying to apply the techniques. It is a good start but it has many limitations. – Putting theory into practice and seeing it work! the navigation skills apply to many other outdoor activities. The practical nature of course was exactly what I was after. Through Adam’s expert guidance, I came away feeling much more competent in my navigation abilities and I now have the confidence to enter events that require navigation. I recently put my new skills to the test and was really pleased with how it went and how much of the course content I was able to use. Would definitely recommend. I’d been interested in learning to navigate for a while, and the Navigation intro course with Adam was the perfect introduction. Starting the day with some theory and getting to grips with the fundamentals, we were then off into the Surrey hills to put it all into practice, and Adams clear descriptions, patience, and interest in navigation/the outdoors made for a very interesting day. Looking forward to putting my knowledge to the test at my first race soon, would definitely recommend to anyone with an interest in navigating. 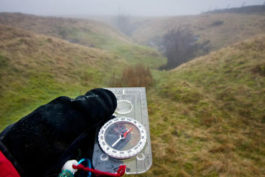 ‘My wife and I recently had the great pleasure of attending a Tri-Adventure Navigation course deep in the Surrey Hills. Being navigation novices we started the day full of trepidation, however Adam soon made us feel comfortable with his easy to understand explanations, great manner and obvious passion for the subject. Following a couple of hours of theory we were then taken into the outside world where Adam took us through a number of exercises and challenges designed to both practice and reinforce our new found knowledge. To our utter amazement we soon, thanks to some excellent teaching on Adams part found ourselves navigating our way through the stunning landscape map and compass in hand.